From its establishment on spring of 2004 the Museum was housed in the centre of the city, at 18 Aristotelous, on the third floor of a neoclassic listed building that was bestowed by Organization of Hellenic Railways. 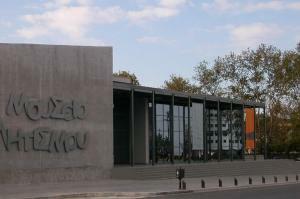 Since March 2004, Sports Museum is housed in a new privately owned building, in the conflict of Agiou Dimitriou and 3rd September streets. Be a part of the International Olympic History!